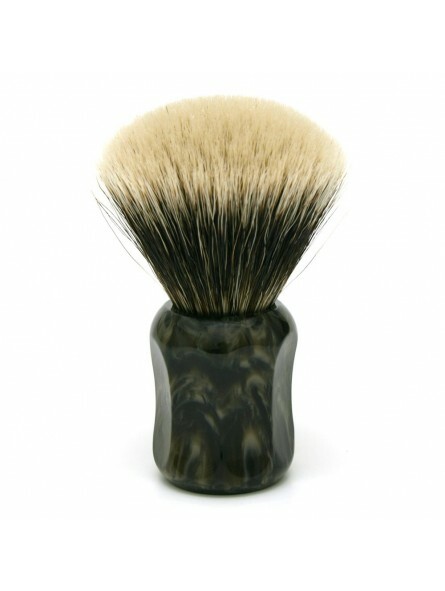 Shavemac Marble Two Band Silvertip Fan Shape ML2 50 mm Shaving Brush. Brand well-known for high quality handmade brushes. They are fitted with excellent two band silvertip hair. These brushes stand out for their shiny, soft tips. 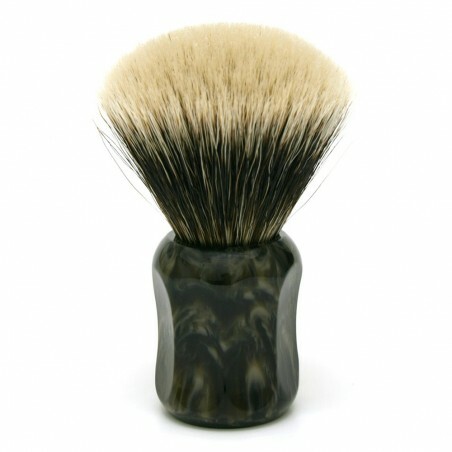 It has a dark middle that gives the brush density and firmness. An excellent brush that performs extraordinarily. This class of natural badger hair comes from a limited selection. To complete this brush, it is fitted with a spectacular, elegant handle made from marble imitation resin sculptured into an octagonal shape to make gripping easy. It is comfortable to use even when wet. Knot Shape: Fan Shape to increase friction.